How Do I Find a Registered Gas Installer? How Do Make a Complaint About a Registered Gas Installer? Did you know that it is illegal for anyone other than a Registered Gas Installer (RGI) to carry out gas works in your home? The CRU regulate all gas installers who carry out work in your home through the Registered Gas Installer (RGI) scheme, which is managed by the Register of Gas Installers of Ireland (RGII). The RGI scheme is in place to ensure that there is a complete register of gas installers. Anyone who wishes to carry out gas works in households must register with RGII. They regularly assess RGIs to ensure that they are operating in line with the appropriate national safety standards. The RGI scheme ensures that all domestic gas works are carried out by a competent RGI. 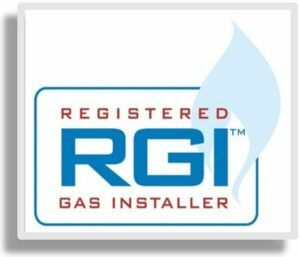 By using an RGI you can be confident that you are dealing with a trained installer who has the required expertise in gas safety to ensure your gas installation is safe and that they are fully insured. All RGIs must provide customers with a Declaration of Conformance Certificates (Completion Certificates) to show that the completed works are safe and up to standard. That is why you should only use an RGI and always get a Completion Certificate for any work they complete in your home. To find out more about the RGI scheme, please visits the RGII website. The website contains a range of useful advice and information and it can be reached by clicking on the button to the right. There is more information about the CRUs role regulating the safety of Registered Gas Installers in the safety section of our website. RGII have a register of all RGIs and you can find one in your area on their website. Their website allows you to search for the list of registered contractors in your specific area and you can then choose which one you wish to contact. To search for an RGI go to the “Find a Gas Installer” page on their website. If you suspect that someone who is installing, servicing, repairing gas appliances or pipework without being RGII registered, then you should report this to RGII. in order to report any such activity you should go to the Report An Illegal Gas Installer page on the RGII website. If you wish to make a complaint about the standard of workmanship with regards to safety of an RGI, or if you have not been issued a Completion Certificate, please submit a complaint to RGII. There is a specific page on the RGII Website where you can submit a complaint. If you would like to lodge a complaint, go to the Gas Installation Complaint page on the RGII website.